Botrytis is sometimes referred to as gray mold because, although it appears whitish in color at first, it soon turns a smoky gray. Its spores often look like gray dust and like dust, the spores are extremely light and easily disturbed. The slightest bit of activity can stir up the mold spores and cause the gray mold to spread. This mold is most commonly found on plants. It can be found on plants of all kinds and is common in greenhouses, where it is often referred to as a form of blight. It can also be found on houseplants. It does not only grow on plants, however. It spreads easily to all sorts of surfaces. Outdoors, it is easily spread by the wind. Indoors, ordinary household activity can stir the spores and cause them to spread. That means if you find this type of mold growing in one area of your home, there’s a very good chance it has spread to other areas, as well. 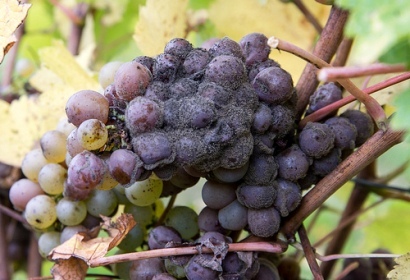 Is Botrytis Hazardous to Your Health? The U.S. Centers for Disease Control and Prevention says all types of mold are potentially hazardous to your health. That’s why they recommend having mold removed from your home as quickly as possible, no matter what kind of mold it is. We’ve been unable to find much information regarding health problems caused by this specific strain of mold. Perhaps more research will be done in the future. Still, we do know much about the effects of mold in general on health. 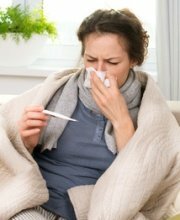 Like all types of mold, this one can trigger allergic reactions in sensitive people. Respiratory symptoms may occur, as can an itchy rash or hives. In rare cases, a serious complication known as anaphylaxis may occur, in which the allergic response triggers swelling in the mouth and throat, which can make breathing difficult. It is rare, but if it occurs, it is a medical emergency. Call 911 or have someone take you to the nearest emergency room right away. Inhalation of mold spores – remember, these mold spores are like dust, very light and easily inhaled – can cause respiratory problems, like a runny nose, coughing, sneezing, wheezing, shortness of breath (technically called dyspnea), sinusitis, bronchitis and pneumonia. Most of the time, symptoms are not serious, but sometimes they can be. Pneumonia, for instance, can be life-threatening. Small children, elderly people, and those with health problems like asthma are at greatest risk for mold-related illness but anyone can be affected. If you’ve been exposed to mold and become ill, see your physician. In addition to medical treatment, you’ll need to have the mold removed from your home in order to protect your health. If you have mold in your home, it needs to be removed as soon as you can make the arrangements. Any type of mold presents a health hazard and if you’re experiencing mold-related health problems, you’ll need to have the mold removed in order to recover. 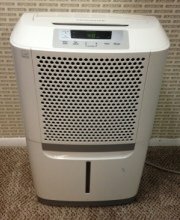 The U.S. Environmental Protection Agency (EPA) recommends hiring a professional to handle the mold removal in your home if there is mold covering a large surface area (greater than 10 square feet) or if there is mold in your home’s heating, ventilation and air conditioning system (special equipment is needed for that, which the average homeowner doesn’t have access to). If you’ve got mold-related health problems, you should check with your doctor to see if it would be safe for you to clean up mold yourself. It might make your symptoms worse, since the cleanup process stirs up mold spores which are easily inhaled. 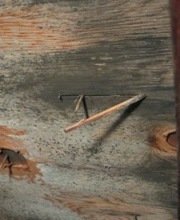 Remember, this type of mold in particular has very, very light mold spores, like dust. If you’re allergic to mold or have any respiratory problems, we suggest having someone else handle the mold removal for you. We recommend scheduling an in-home consultation with a mold removal professional, who can tell you more about your options. You can choose to do the work yourself, choose to hire a professional, or choose to do some of the work yourself and choose to hire a professional to do the more difficult parts of the job, like cleaning mold out of your home’s HVAC system. Many professionals offer free consultations, so there is no cost to you and no obligation on your part. It’s a good opportunity to get some expert advice about the work that needs to be done. Follow this link to find qualified mold removal professionals offering free in-home consultations in your town.